For nearly a half century, the Catholic Church in the United States has celebrated National Migration Week, which provides an opportunity for the Church to highlight the presence and situation of immigrants, refugees, victims, and survivors of human trafficking. 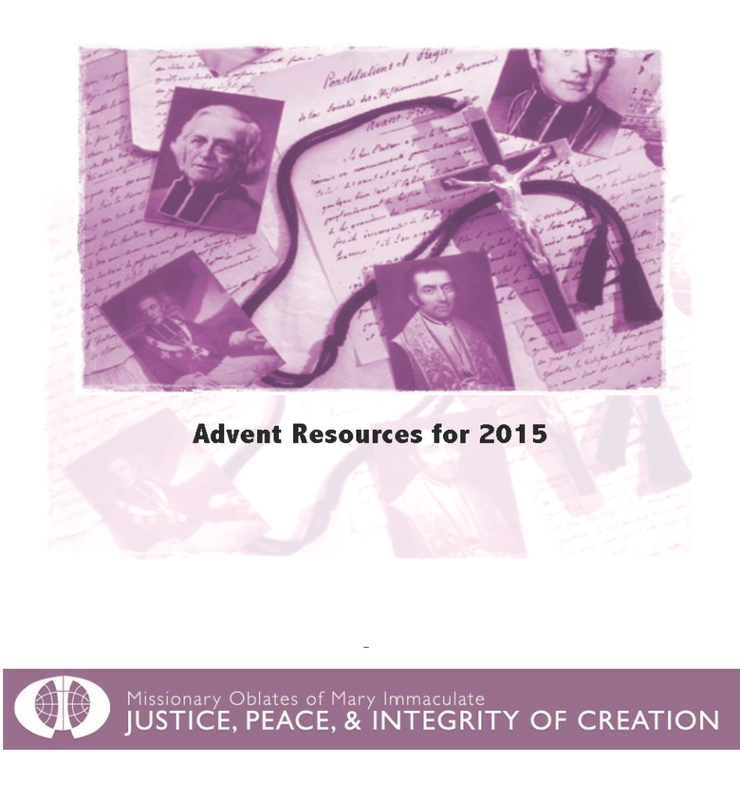 The week serves as a time for both prayer and action in support of immigrants and refugees. Organized by Justice for Immigrants at the U.S. Conference for Catholic Bishops, the theme for this year’s celebration is “Building Communities of Welcome.” It emphasizes our responsibility and opportunity as Catholics to engage and welcome newcomers on their arrival and help to ease their transition into a new life here in the United States. To read more about this observation and to download resources visit Justice for Immigrants’ website or at the link below. Educational materials and other resources for National Migration Week are available for download at https://justiceforimmigrants.org/take-action/national-migration-week/. 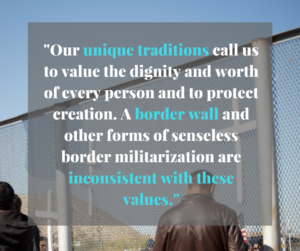 About eighty national and state groups from various faith traditions issued a letter asking Congress to stand against any funding for a border wall or other forms of border militarization. “We stand against a wall because our faith communities have ministries and relationships deeply rooted in border communities and through these relationships, we’ve found that walls do not deter migration, they are an ineffective and immoral use of public funds, they hurt communities, businesses, and landowners in the border region, they increase risk of flooding and cause other environmental harms, and they infringe on the rights of indigenous communities.” The Missionary Oblates of Mary Immaculate JPIC joined other faith-based organizations in endorsing and signing the letter. By a 4-4 split, the U.S Supreme Court has ruled against President Barack Obama’s immigration plan – Deferred Action for Parents of Americans (DAPA) and the expansion of Deferred Action for Childhood Arrivals (DACA). The two initiatives were announced by President Obama to provide some deportation relief and work permits to qualified undocumented immigrants. This means the decision by a lower court upholding the preliminary injunction against these immigration relief measures will stand. Missionary Oblates JPIC joins other faith communities, religious leaders and immigrant rights groups in expressing deep disappointment with this ruling. 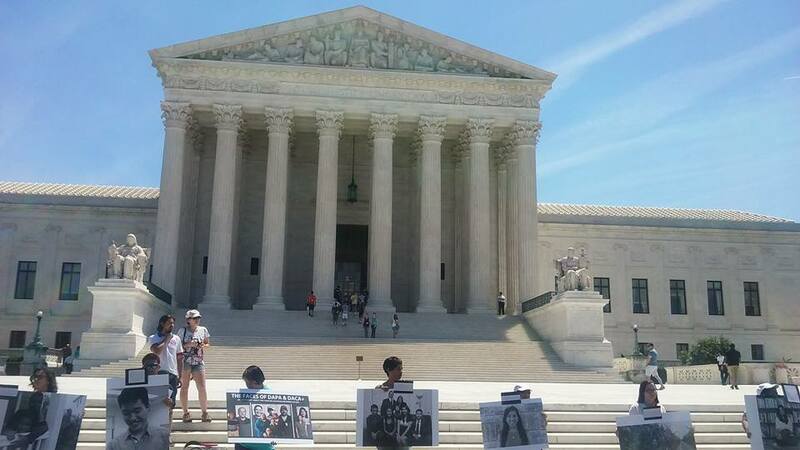 Earlier this year, diverse faith based organizations joined in filing an amicus brief with the Supreme Court in support of these two executive orders to provide deferred action for millions of undocumented families. The fact is DAPA and DACA would have helped millions of immigrant families to stop living with the constant threat of family deportation.